This privately-owned luxury bed and breakfast is nestled within the urban compound of Charleston’s historic 1825 Edmondston-Alston House. 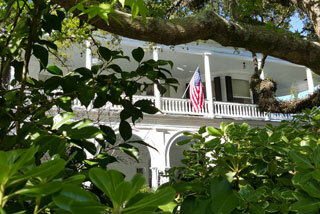 21 East Battery was built in 1825 during the tenure of the property's first owner, Charles Edmondston. 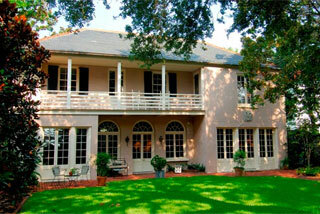 Later, in 1838 second-owner Charles Alston extensively remodeled the house adding significant Greek Revival details. The rear dependency originally served as a stable and livery for the wealthy rice planter's fine horses and handsome town carriages. The Quarters once housed the servants who helped make 21 East Battery one of the city's showplaces of style and gracious entertaining. 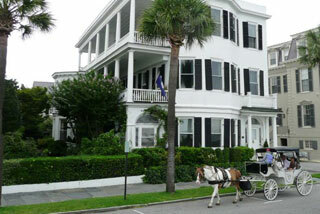 The Indigo Inn, the Charleston Inn of distinction, offers superior accommodations and lodging in the heart of the City's historic district featuring forty luxurious Charleston hotel rooms: from the gracious accommodations, the Hunt breakfasts and the beauty of the period restoration of the old Inn to the late afternoon hors d' oeuvres & beverages, at the Indigo Inn. Our luxury hotel offers exquisite bed and breakfast accommodations for the perfect romantic getaways in downtown Charleston. 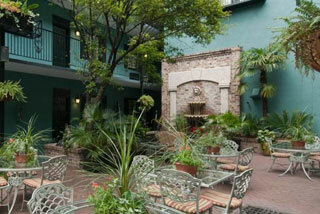 The Meeting Street Inn offers distinctive lodging in the heart of Charleston's historic district. Located opposite the bustling City Market, the Inn is surrounded by Charleston's finest restaurants, boutiques and antique shops. Everything that is unique to the "Holy City" is no more than a pleasant stroll from your front door! In the style of the Charleston single house the luxury inn's fifty six guest rooms open to sunny piazzas overlooking our garden courtyard. Each room features antique reproduction furnishings and four poster "rice" beds. This stately ante-bellum mansion (c. 1836) overlooks "High Battery", Charleston Harbor and Fort Sumter and is elegantly furnished with antiques and family heirlooms. Enjoy the entire third floor suite of this prestigious "South of Broad" home which also features a private entrance and off street parking. Zero Water Street is conveniently located within strolling distance of historic sites, shopping, restaurants and The Market. The house has been in the present owners' family since 1900. 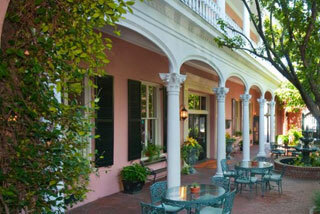 Your hosts are delighted to share their beautiful home and Historic Charleston with their guests.